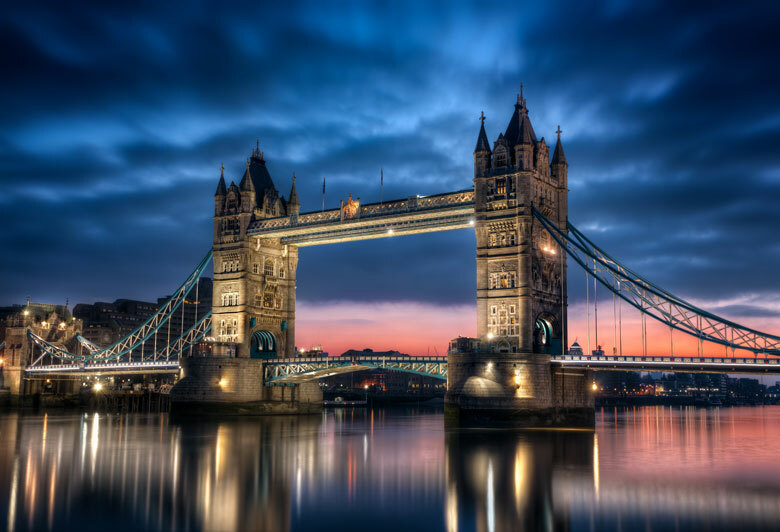 Europe is widely acclaimed by tourists from all over the world as the most romantic continent. 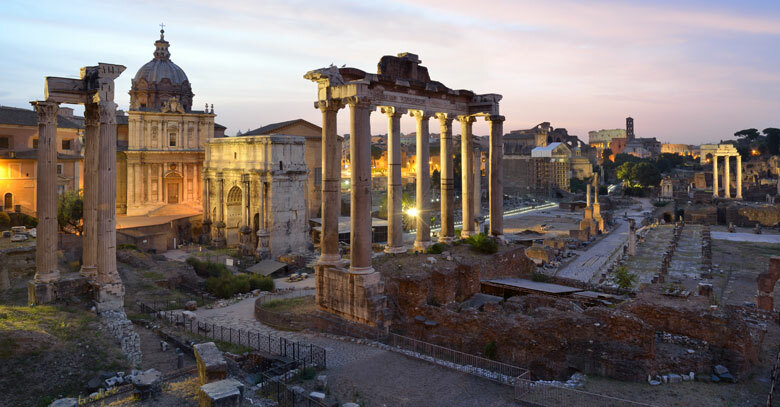 Nowhere is this more obvious than in Latin (or Romance-speaking) countries, in particular in Italy, the cradle of Romanticism (after all the word is derived from Rome). 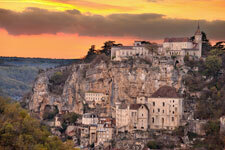 Here is Eupedia's selection of Europe's most romantic places. 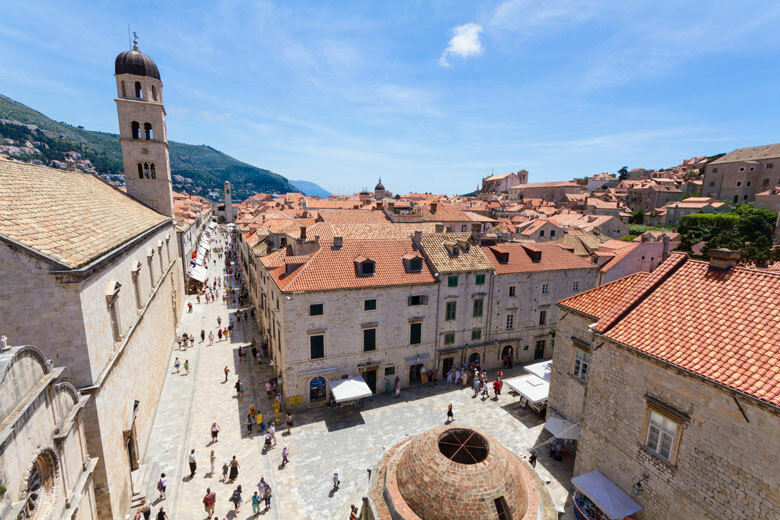 We have considered many criteria such as the climate, the local cuisine, the friendliness of the people, how cheerful and happy the places makes you feel... but ultimately it is all about finding the ideal spot to share an unforgettable time with the person you love. 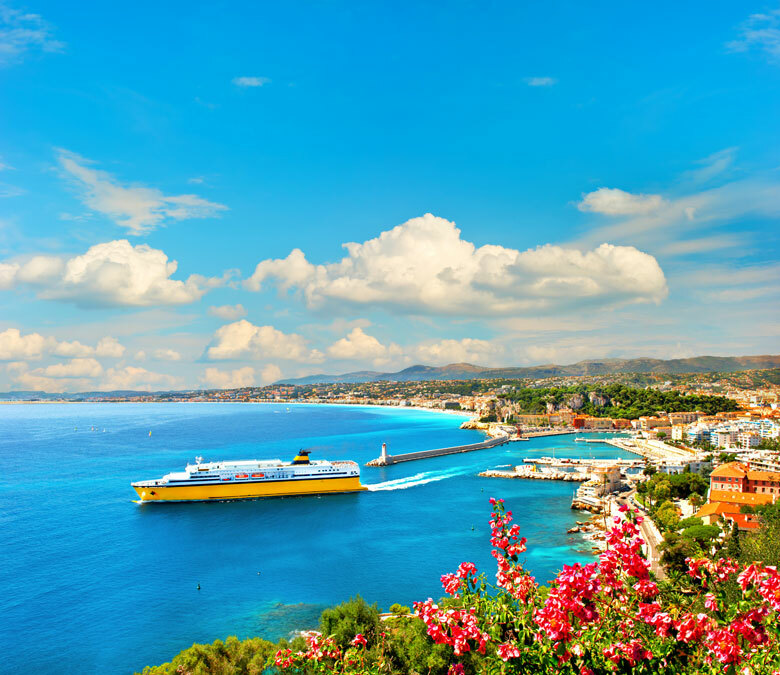 You can vote for Europe's most romantic destination on the forum and discuss the pros and cons of each place. We will update this page's ranking based on members' votes every 50 votes. 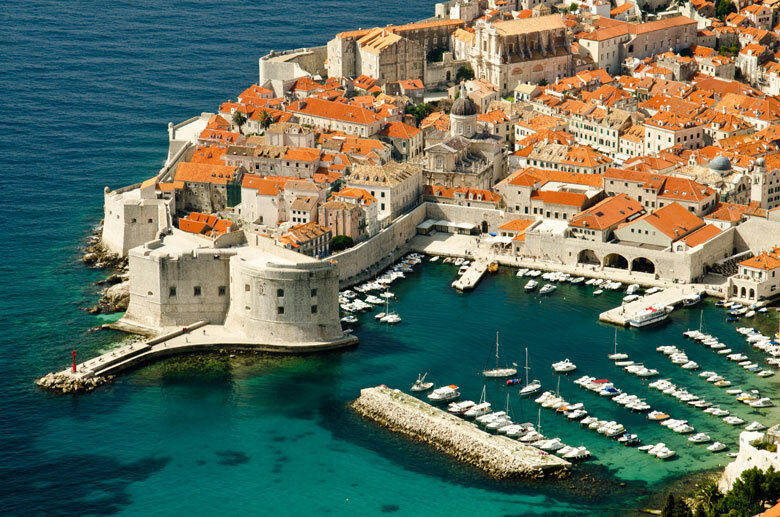 Known as the jewel of the Adriatic, Dubrovnik was for 450 years the seat of the independent Republic of Ragusa (its Latin name). 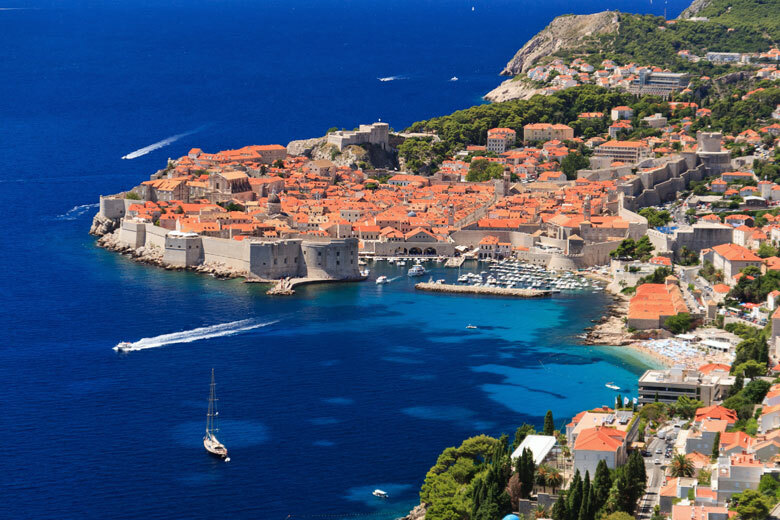 With its beautifully preserved stone buildings, intact city walls facing a turquoise sea, Dubrovnik is the foremost honyemoon destinations in the Balkans. 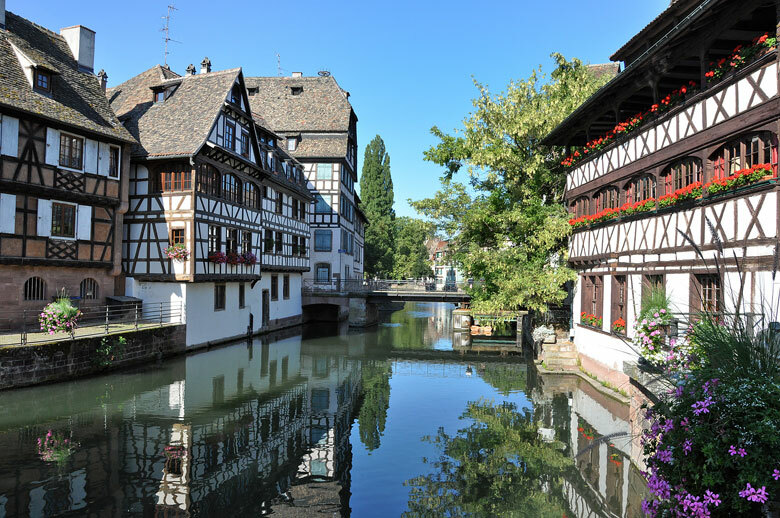 Sometimes dubbed "the most beautiful German city", Strasbourg may now be French, but it has retained its German Renaissance timber-framed houses and crow-stepped gable façades. 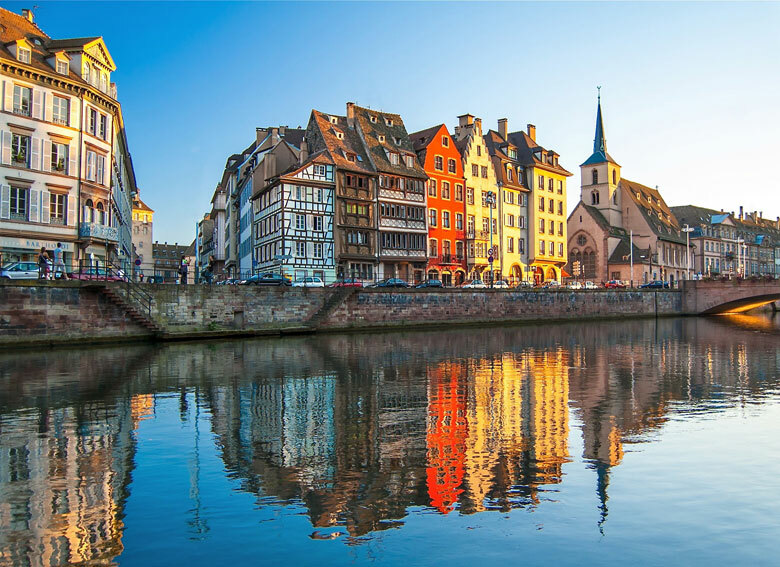 The city grew on an island on the Ill estuary and is crisscrossed by a number of canals linking the Ill to the Rhine. 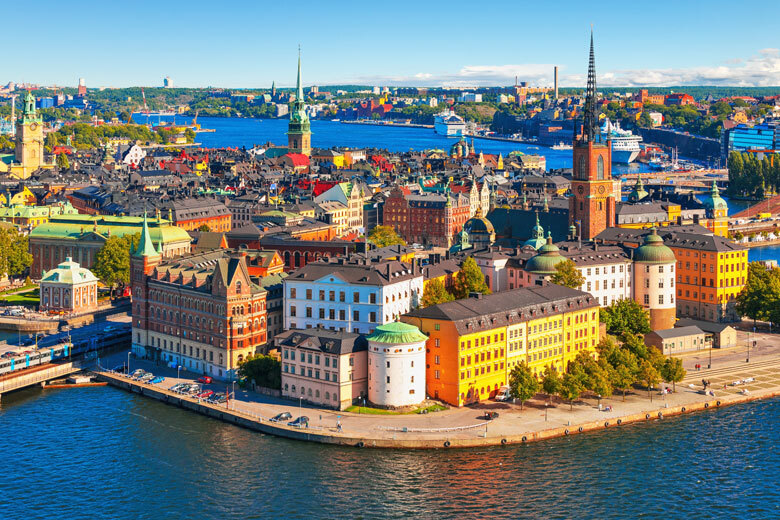 Built in the midst of a vast coastal archipelago, Stockholm is the Nordic Venice, a dignified and harmonious city filled with colourful façades and eye-pleasing monuments. 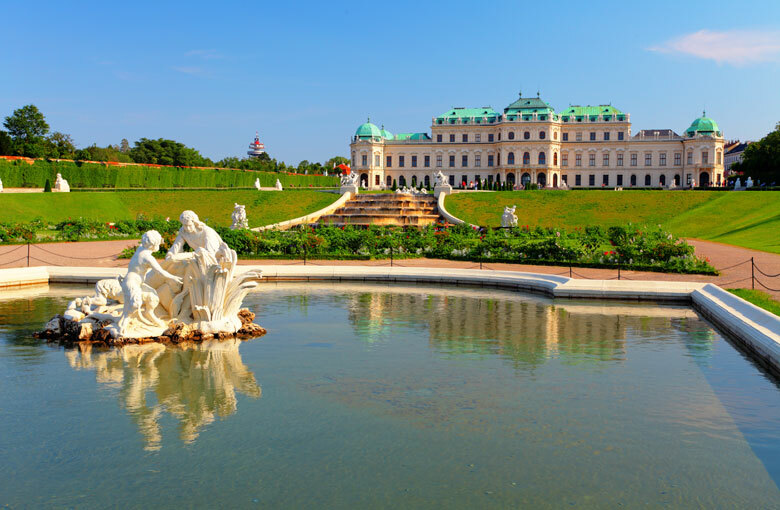 Capital of one of the longest-lived empires in history, Vienna is the most elegant and sumptuous of all German-speaking cities, yet also one of the most relaxed thanks to its legendary coffee house culture. 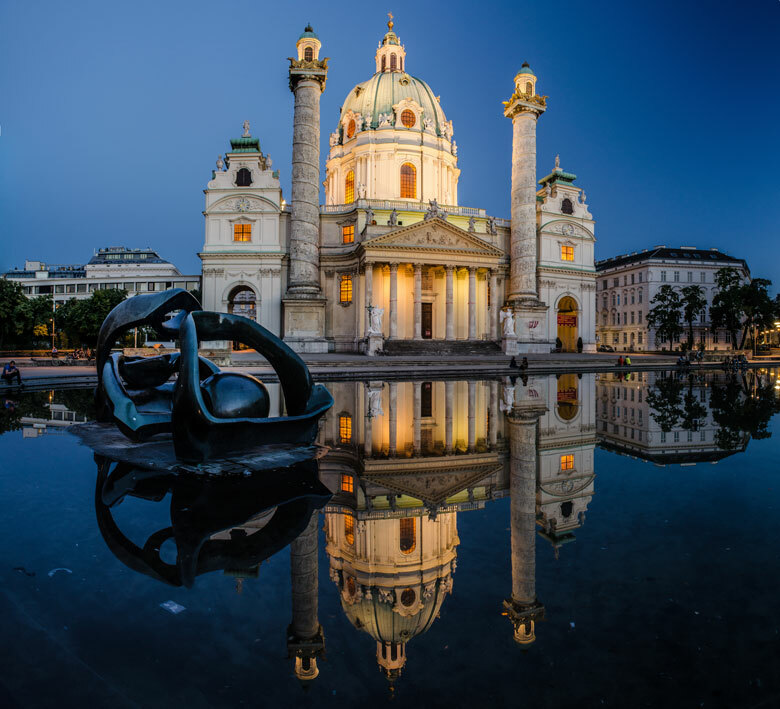 Grand neoclassical buildings and Baroque palaces confer Vienna a unique charm and atmosphere. 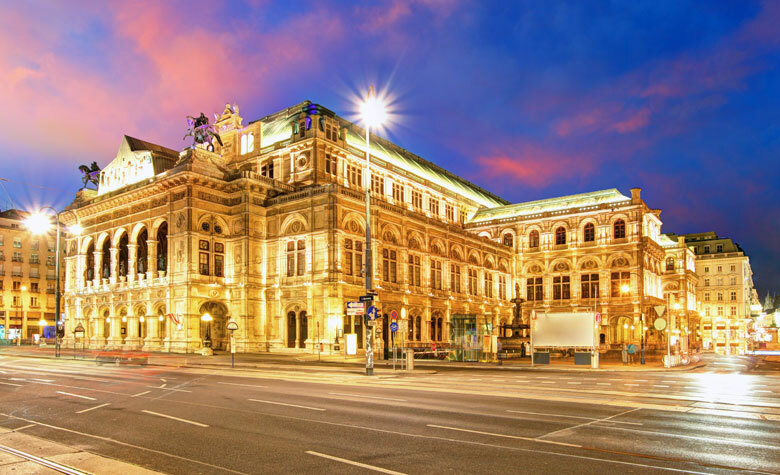 Its romantic character is further enhanced by its association with many great classical composers. 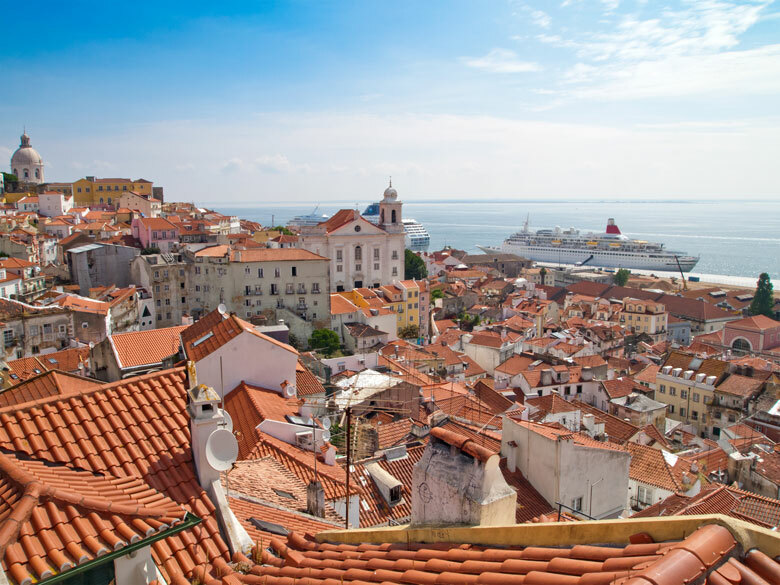 Looking west over the Atlantic Ocean and its former colonial empire, Lisbon has an exotic appeal, a laid-back temperament that entice visitors to saunter about. 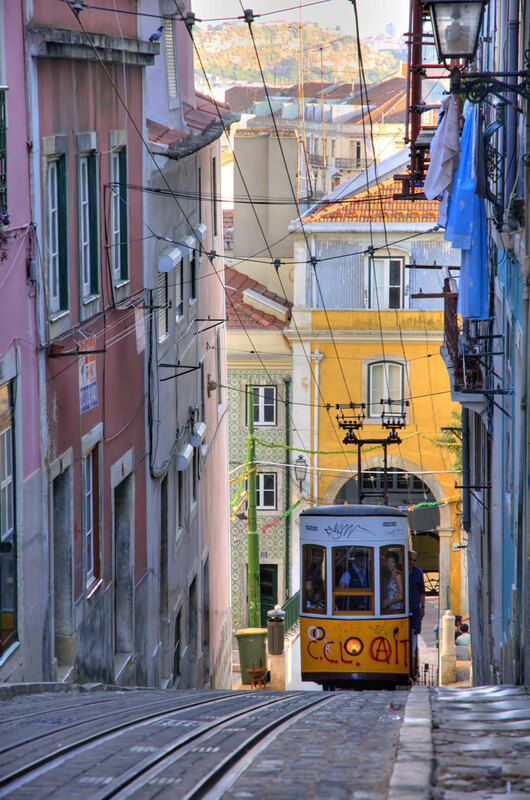 Its hilly colourful streets, the long pedestrianised walks along the Tagus Estuary, and the cozy and intimate restaurants open till late at night all contribute to the romantic character of Lisbon. 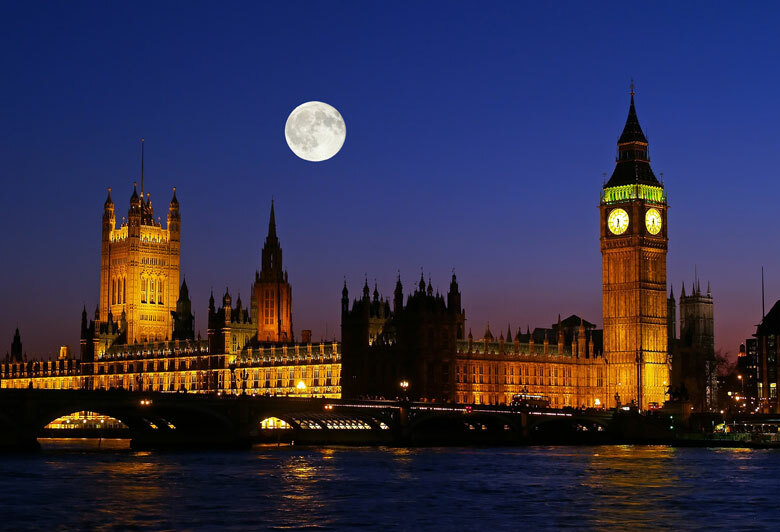 London is Europe's largest and most vibrant metropolis, a liberal and trendsetting city where anything seems possible. 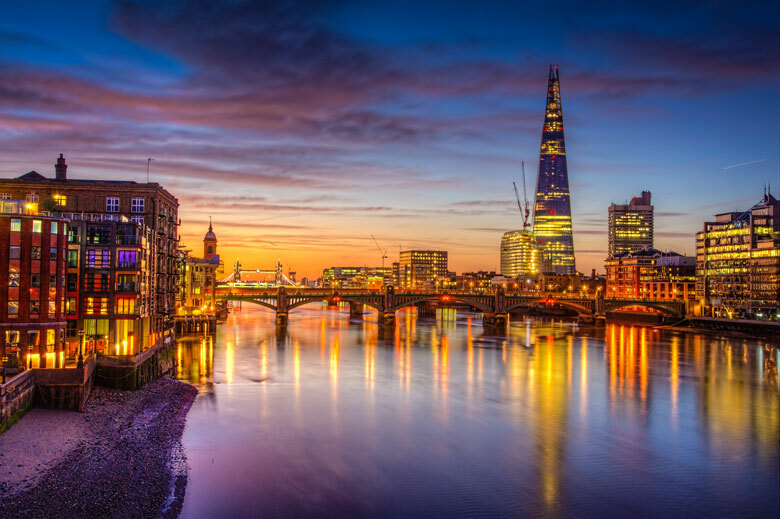 The seat of the world's most famous monarchy, the former capital of the largest and most cosmopolitan empire that there ever was, London is romantic in many different ways from other places on this page. 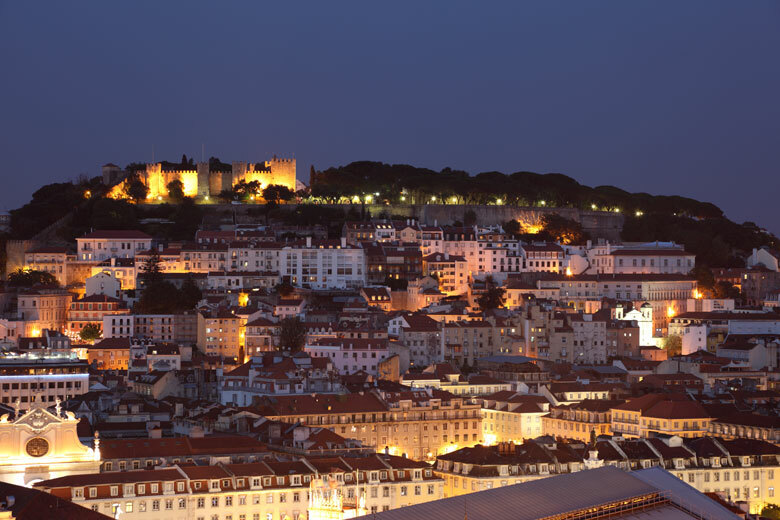 It is a place to experience, a city with a rich heritage and a unique culture, indescribably amazing in both its traditional and contemporary sides. 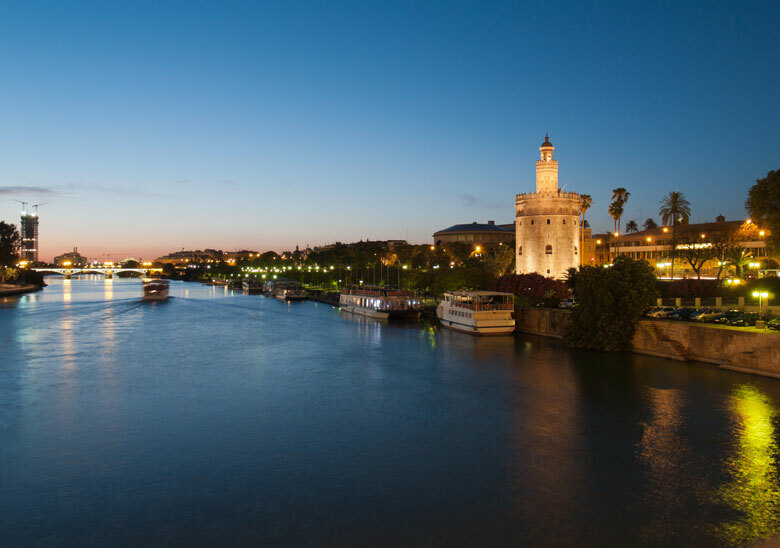 Seville is a city like nowhere else in Europe. 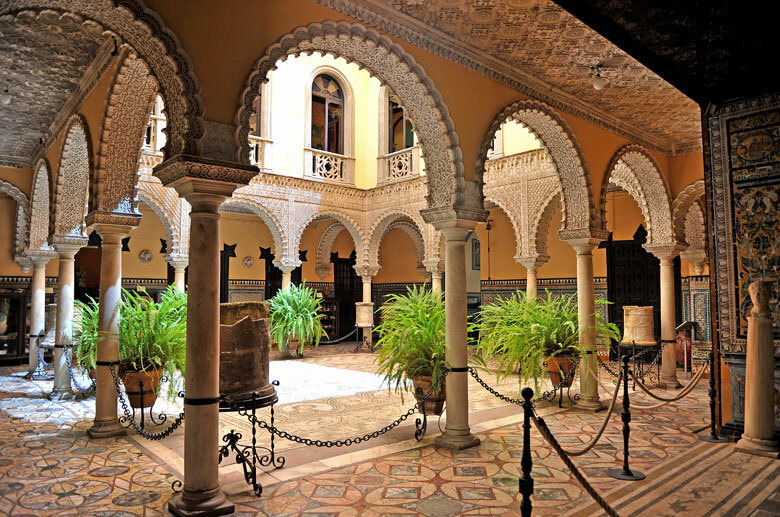 Reaching its first golden age in the 11th century as a Taifa capital of the Caliphate of Córdoba, Seville is endowed with magnificent Mudejar architecture. 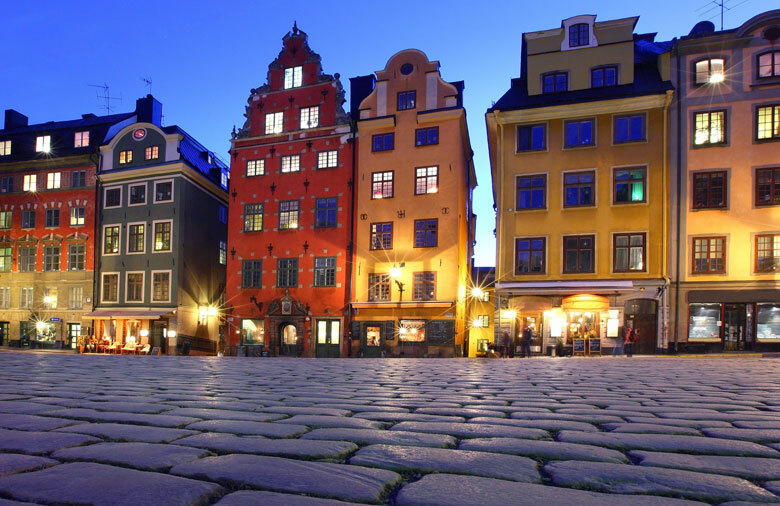 It possess the largest historical centre in Europe still comprised within city walls, and hundreds of narrow calles of whitewahsed houses. 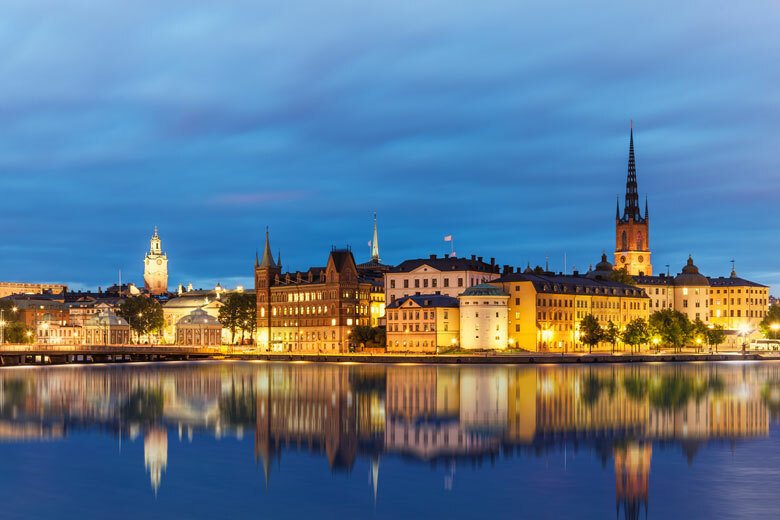 Its second golden age was the 16th century, when Seville had a monopoly on trade from the Spanish colonies and became one of the wealthiest cities in the world. 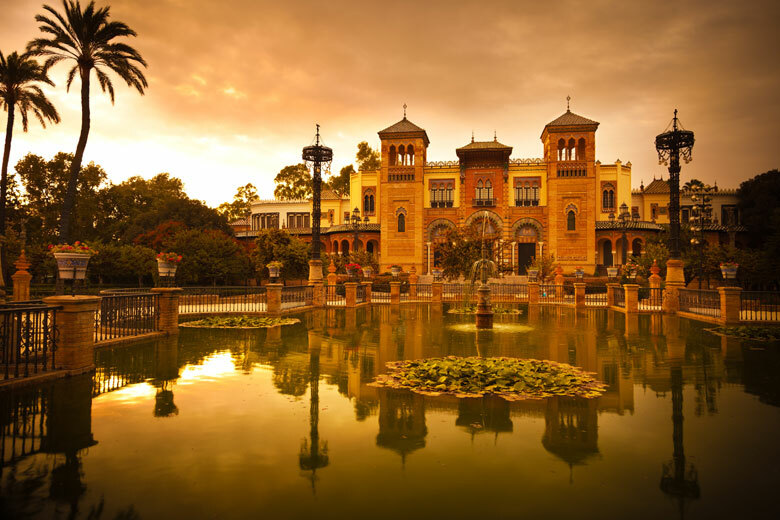 Epicentre of the unique Andalusian culture, Seville has everything required for a romantic getaway: a slow pace, a graceful air, good food, fine weather, and a touch of exoticism. 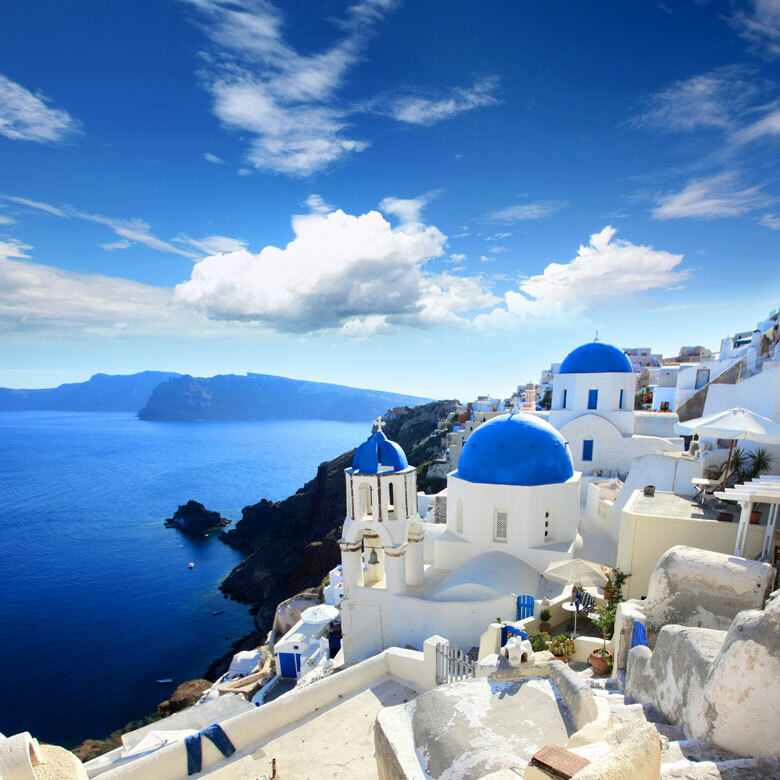 Few places have caught human imagination like Santorini, the remains of an island destroyed by a huge volcanic explosion at the height of the Minoan civilization. 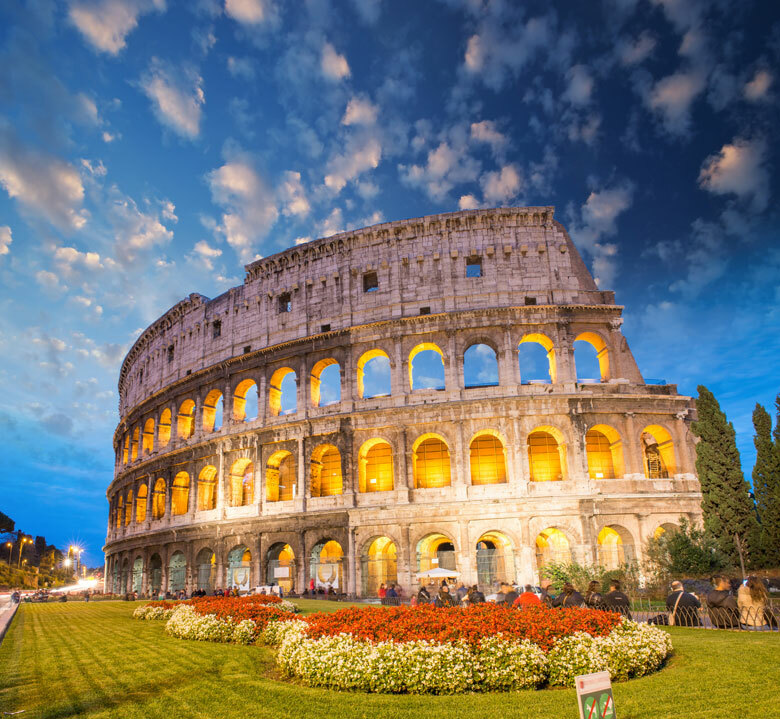 Some have seen in it the location of ancient Atlantis. 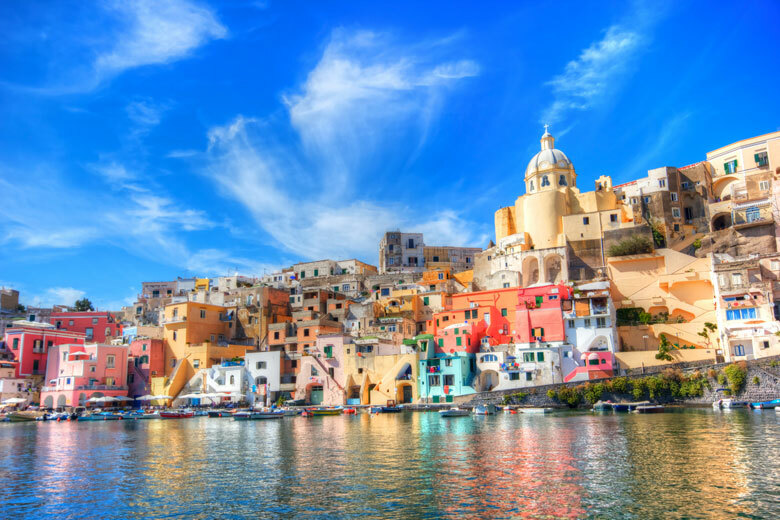 Nowadays the white houses, windmills and blue domed churches overlooking the collapsed caldera are one of the world's most photographed panorama and a popular honeymoon destination. 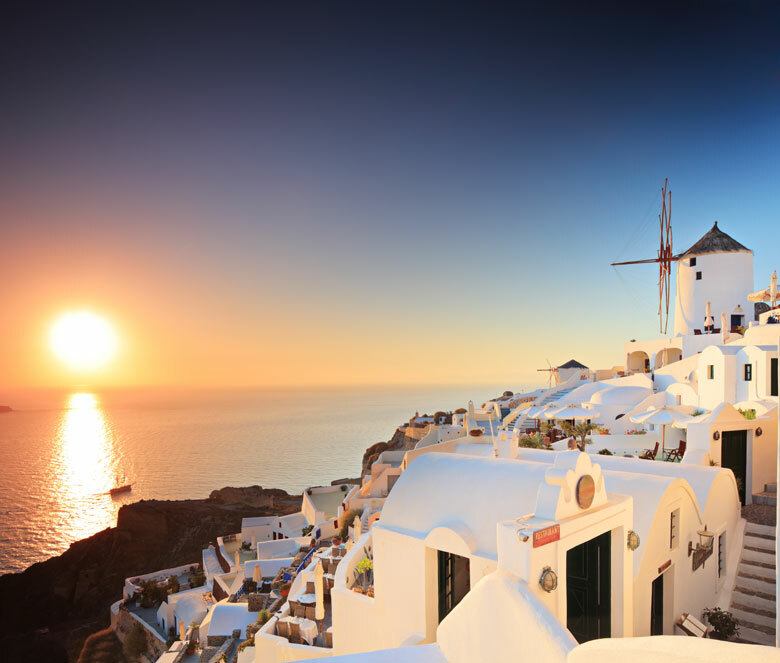 Santorini suffers however from its excessive popularity and overcrowding takes a bit of the mood away. The restaurant scene is a bit limited too. 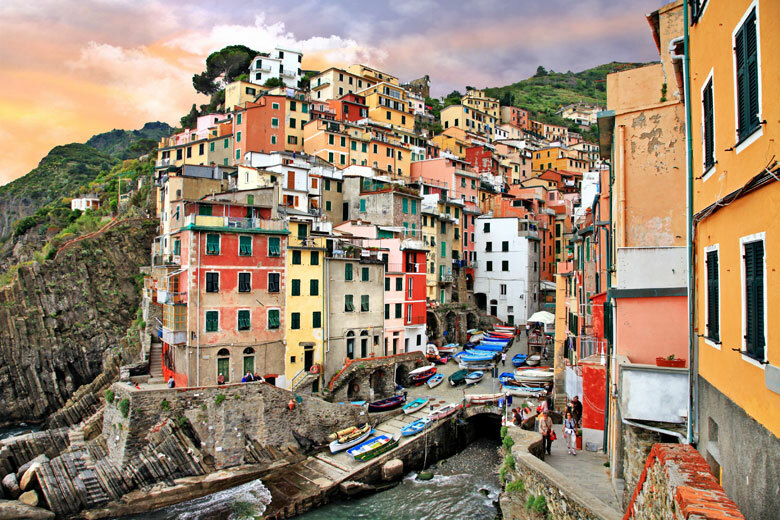 At the eastern extremity of the Italian Riviera, the colourful five villages making up the Cinque Terre are so lovely that they were designated a World Heritage Site. 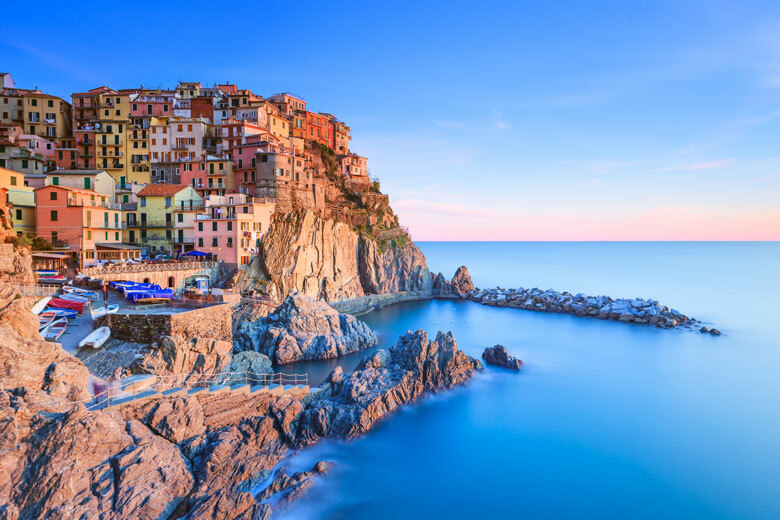 Built on the flank of a rugged coastline amidst terraced orchards on the hillsides, Cinque Terre ranks among the most gorgeous European scenery along with the Amalfi Coast and Santorini. 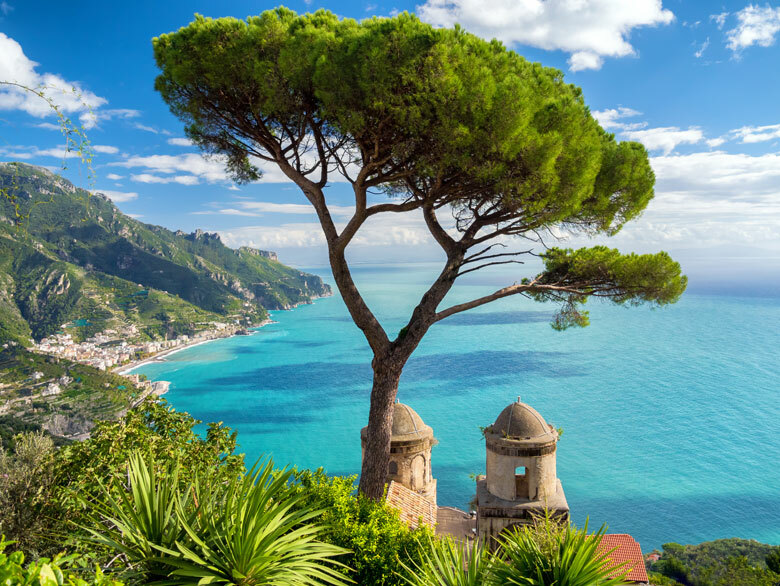 Its romantic character is encapsulated in the Via dell'Amore ("Path of Love"), where lovers are encouraged to write their names on the rocks and hang locks to symbolise their everlasting union. 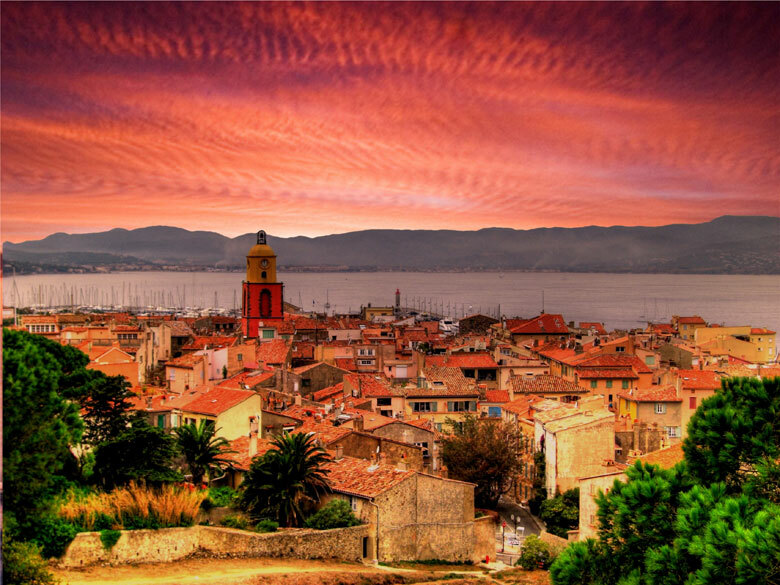 The Côte d'Azur, as it is known in French, is one of the finest stretch of Mediterranean coast there is. 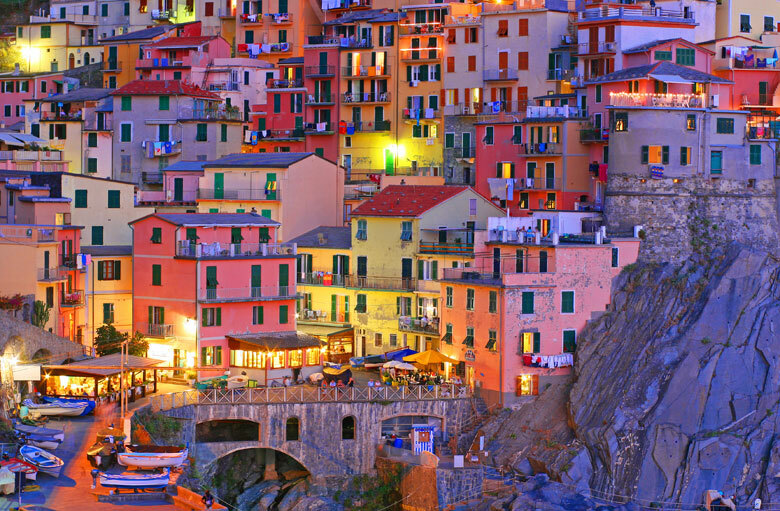 It is not by chance that celebrities and millionaires typically choose it over other areas to buy their holiday villas. 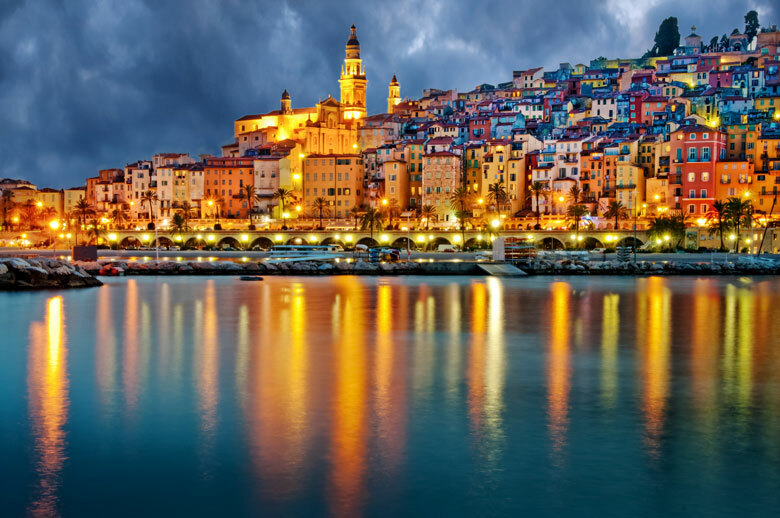 The weather is warmer and drier than anywhere else in France, and just the eastern French Riviera (Greater Nice), between Cannes and Menton, had more Michelin-starred restaurants than any other French metropolitan area outside Paris. 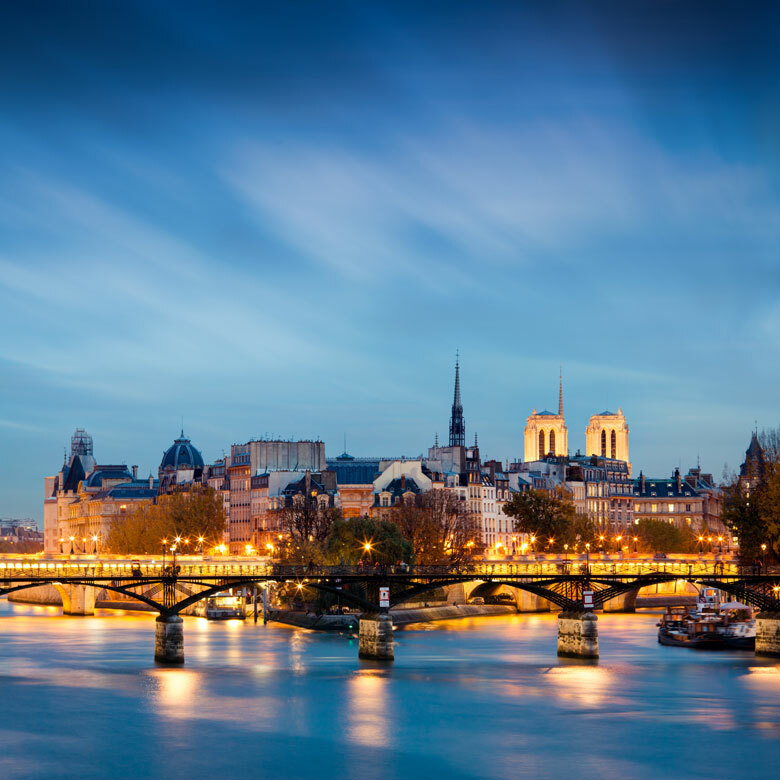 The French capital is the eternal romantic destination, the Rome of northern Europe, where outstanding cuisine, beauty and joie-de-vivre are a way of life. 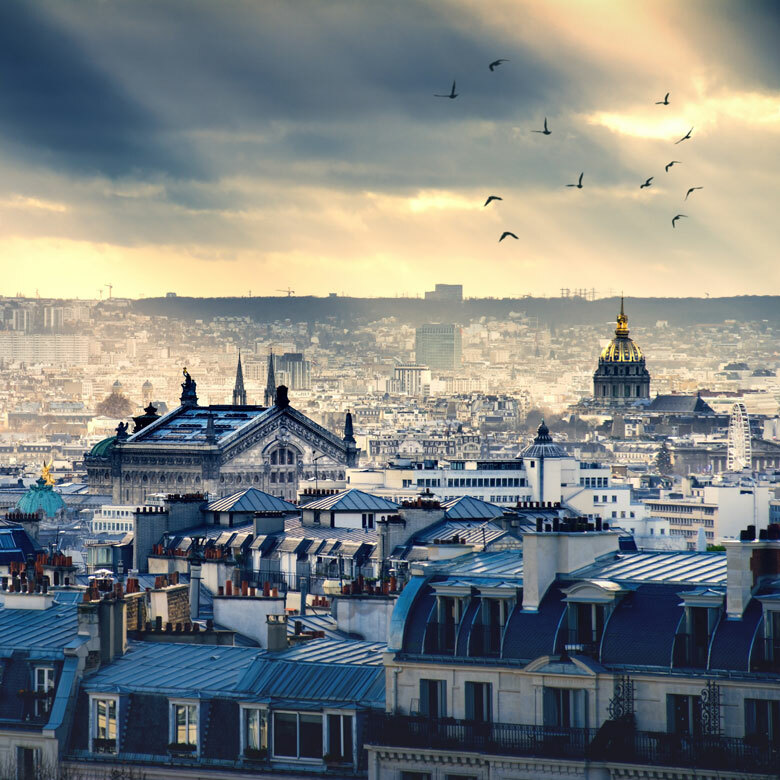 Paris is widely regarded as the global capital of fashion, luxury goods and gastronomy, a cocktail that can't leave anyone indifferent to its charm. 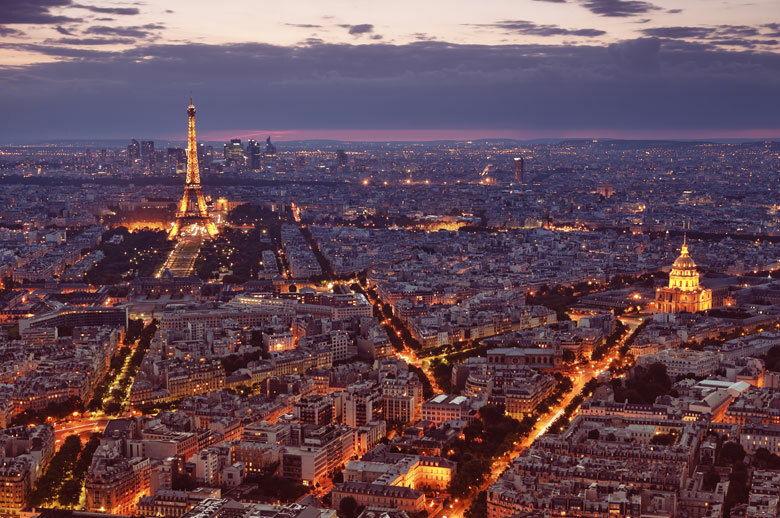 If Paris didn't make it to the top of this ranking it is because of its relatively cloudy and rainy climate, the arrogance and unfriendliness of its inhabitants, and an increasing sense of insecurity due to its large immigrant population. 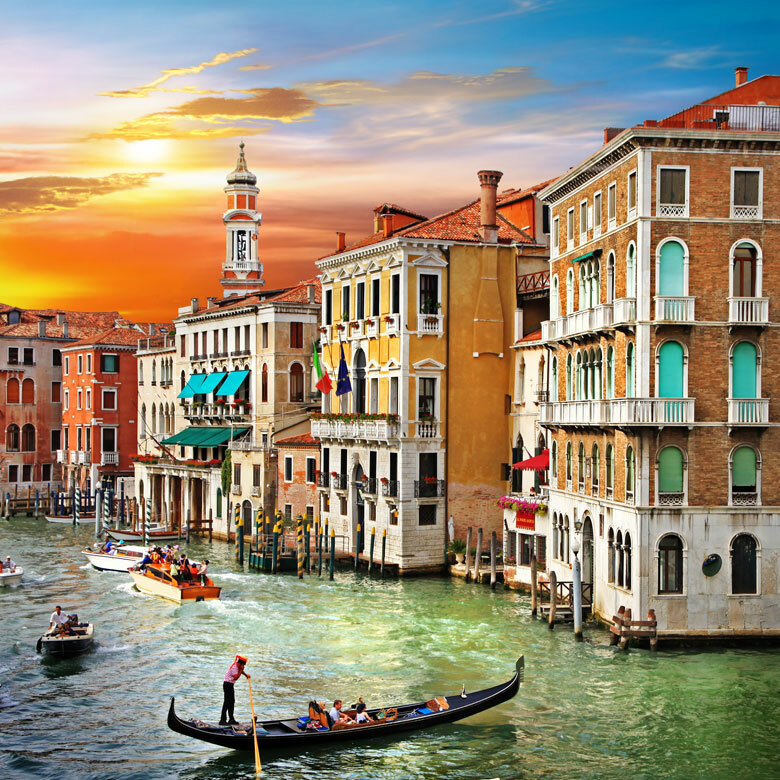 Perhaps the world's most uniquely romantic city, Venice is a place where time seem to have frozen a few centuries ago, when La Serenissima ruled over a maritime empire stretching over the Adriatic and Eastern Mediterranean. 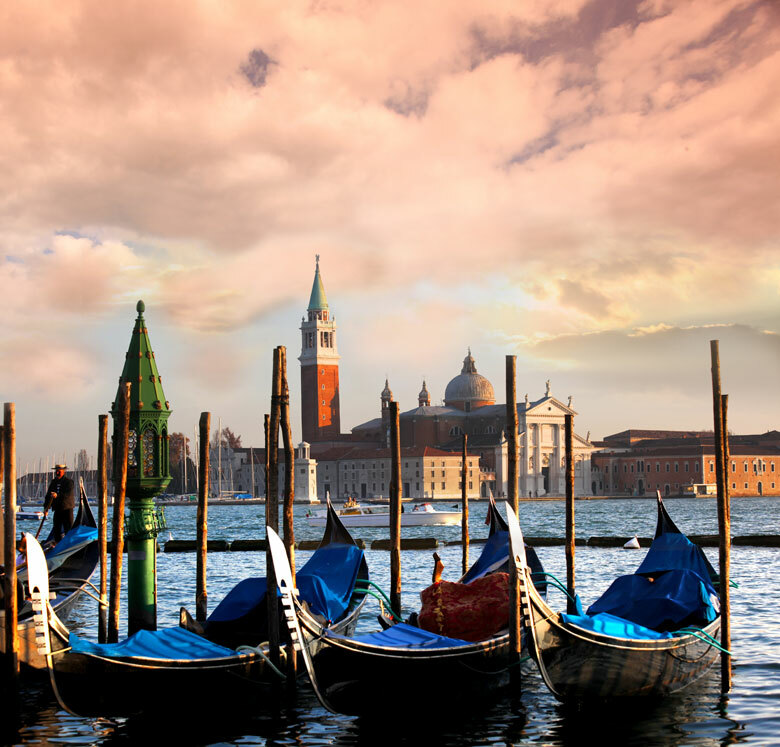 Nothing can rush the gondolas in the canals of the floating city. 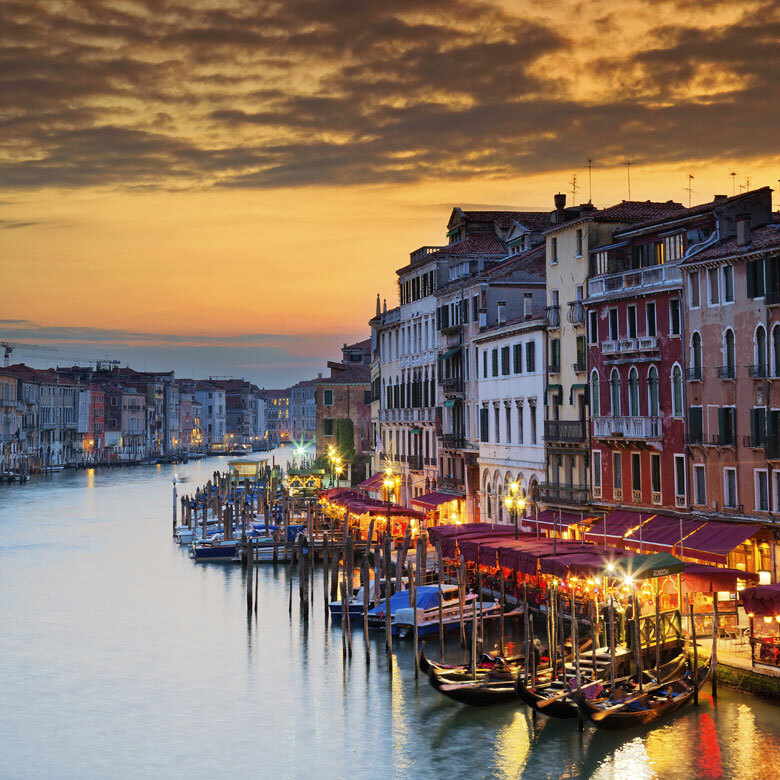 The only drawback is that Venice suffers from its popularity and is often overcrowded and rainy in the high season, and a bit too cold in winter. 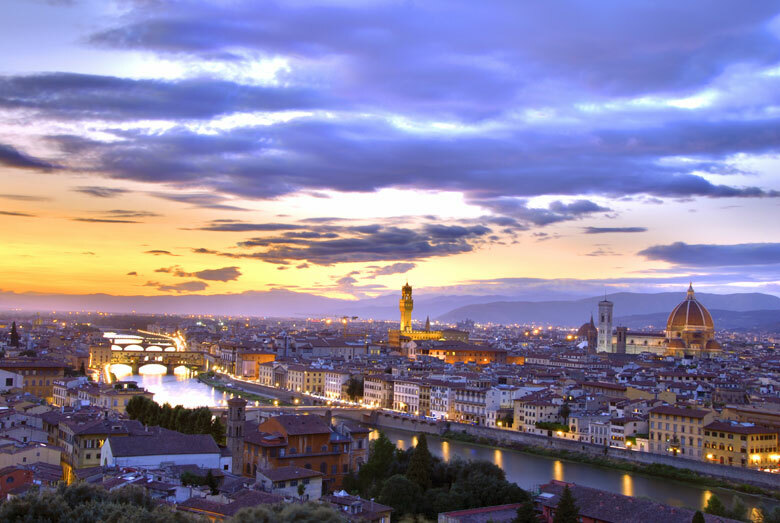 The cradle of the Renaissance, Florence is one of the most charming and beautiful cities on Earth. 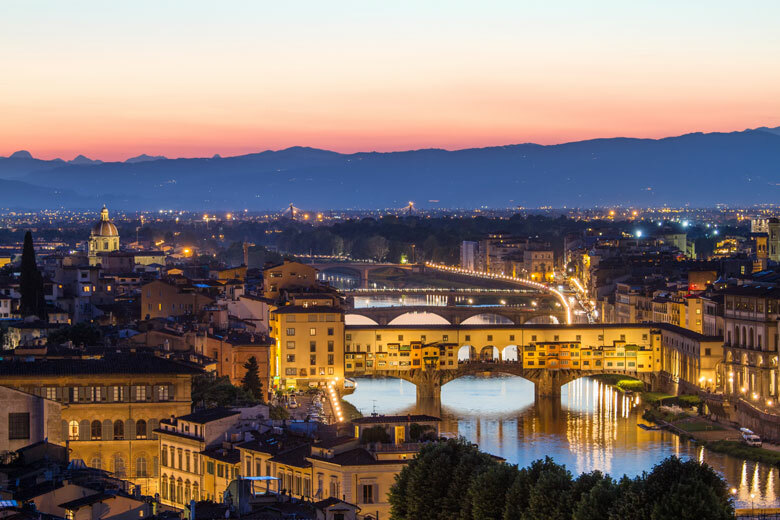 Nothing beats the romantic experience of a stroll along the Arno River, with the sight of the delightful Ponte Vecchio, followed by a promenade in the Boboli Gardens with its numerous fountains and neoclassical sculptures. 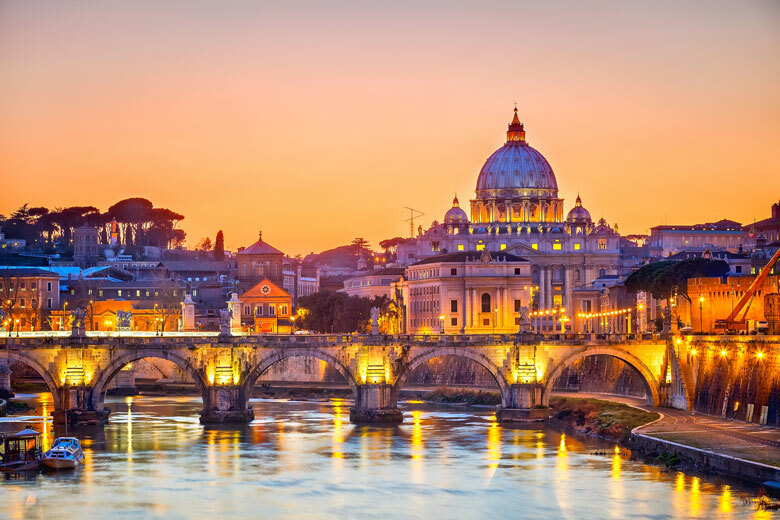 The romantic city par excellence, Rome has all the qualities to enrapture couples in love. 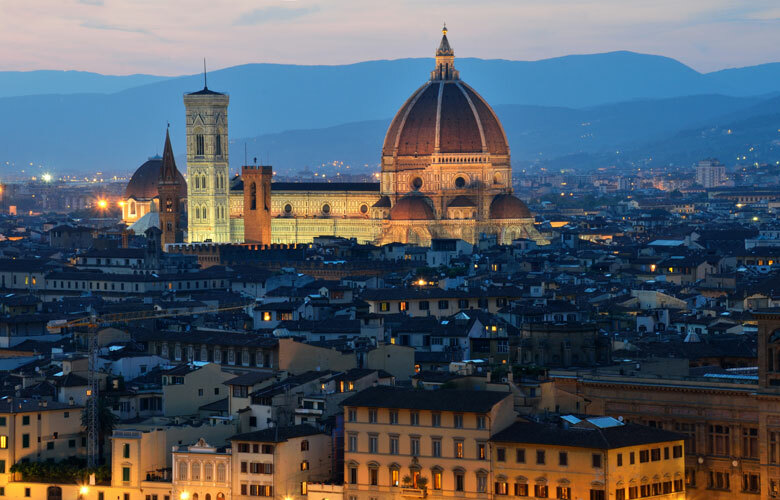 It is the land of the dolce vita, where candle-lit restaurants serve excellent food and where narrow, pedestrian cobbled streets are lined with cheerful, multi-coloured palaces and grand ancient monuments. 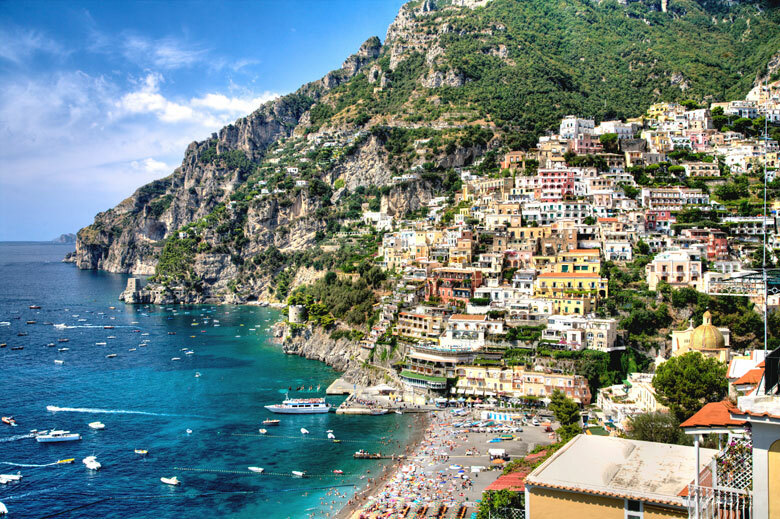 With its ideal Mediterranean climate, its amazing natural setting, its colourful houses and ancient Roman heritage, the islands of the Bay of Naples (Capri, Ischia, Procida) and the adjacent Amalfi Coast form one of the world's most idyllic and enchanting spots. 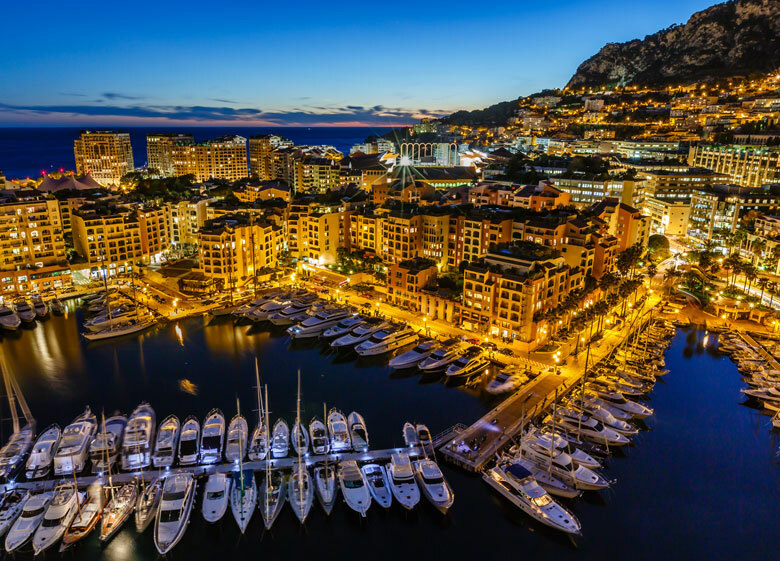 To top it all the area boasts the world's highest concentration of Michelin-starred restaurants per capita, making it the perfect location to enjoy a romantic dinner.